Start the new year off with a healthy hike. 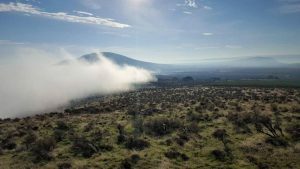 The 32 Washington state parks are offering free guided hikes, snowshoe trips and fat-tire bike rides in January. New Year’s Day also is a free day that doesn’t require a Discover Pass for parking at any state park, although Sno-Park permits are still required at designated Sno-Parks. Read more from Paul Krupin in his Tri-City Herald article: http://www.tri-cityherald.com/sports/outdoors/article191519069.html. 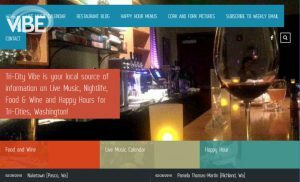 From Noon – 10 p.m. 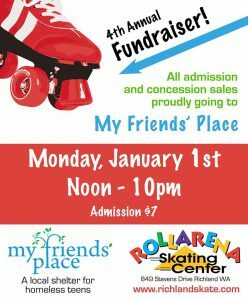 The Rollerena is having a fundraiser to help My Friends Place (homeless teens shelter in Kennewick). All proceeds from skate rentals and concessions sales will be donated to the shelter. 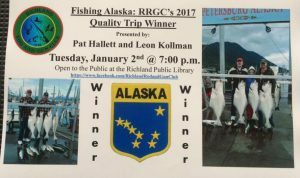 At the Richland Rod & Gun Club’s monthly meeting Pat Hallett and Leon Kollman will discuss “Fishing Alaska.” Pat and Leon were the club’s 2017 Quality Trip Winner. The purpose of the WSU Extension Master Gardener Program is to train volunteers to be effective community educators in gardening and environmental stewardship. Master Gardeners (MG’s) provide information generated from research at WSU and other university systems. – increase public awareness of healthy living through gardening. MG’s also enhance communities through demonstration gardens and donation of produce to local food banks. Low-income citizens learn to grow their own food and become more self-sufficient with the help of Master Gardeners. Whatever the priority need may be, if it can be addressed through gardening, WSU Extension Master Gardener volunteers are there to serve as part of the solution. Here in Benton and Franklin counties, our Master Gardener volunteers are trained to solve gardening problems and provide WSU approved research-based advice to the public. Our volunteers staff regularly scheduled plant problem diagnostic clinics in several locations during the gardening season, helping people learn to manage their landscapes and gardens more more effectively with environmentally sound gardening practices. 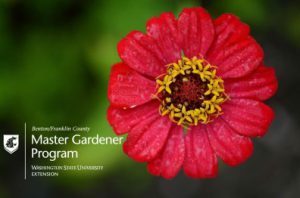 The WSU Extension Master Gardener Program is open to everyone with an interest in gardening and a willingness to use their knowledge, experience and enthusiasm to make a positive impact on our local community. 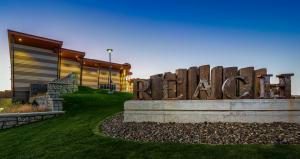 In Benton and Franklin Counties, training is held annually during the winter and early spring starting in mid-January. For 2018, applications are due by January 2, 2018, with classes to begin January 23rd, 2018. 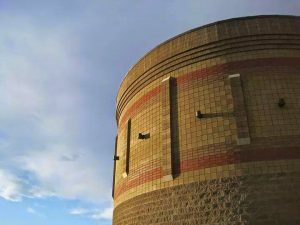 Classes are three hours in length and are usually on Tuesday afternoons from late January until the first week of May. Forty to fifty new volunteers typically apply to participate in the program each year. Friday & Saturday: doors open 6:30 p.m., show starts 7:30 p.m.
Friday and Saturday Night: top Motocross Pro’s and Amateurs race for the win. Freestyle Motocross performances each night with Nick Dunne and James Carter. 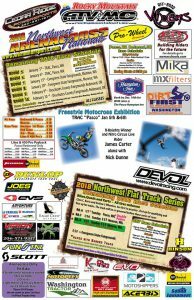 Sunday: Flat track racing for Bikes, Quads, Karts, 1/4 Midgets. Free to attend but must register which begins at 8:30 a.m.
Join this free, conference-style event aimed to provide tools for the ups and downs that life brings. 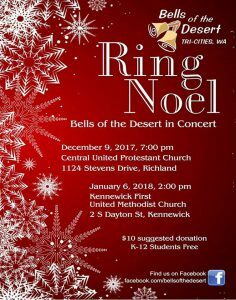 The Bells of the Desert will be performing their annual Holiday Handbell Concert for those who missed their concert on December 9. Sing! Drink Beer! 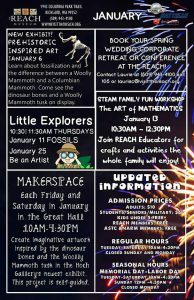 Celebrate the new year! Tom & Paul’s Food Truck will be located on their outside patio providing Burgers/Fries/Nachos/Sandwiches/Salads. Beer Choir is Free and open to the public. No auditions or experience necessary. Don’t dress up, unless that’s how you roll. From 10:00 a.m. – 4:00 p.m., Fashion Shows at 12:00 p.m. and 2:00 p.m. Brides 2018 is the Mid Columbia Region’s premier bridal event with dozens of local wedding experts available all at one time to help you carefully plan your special day. January 5: TBD at 7 p.m. and TBD at 8 p.m.
January 6: TBD at 2 p.m. and TBD at 3 p.m.